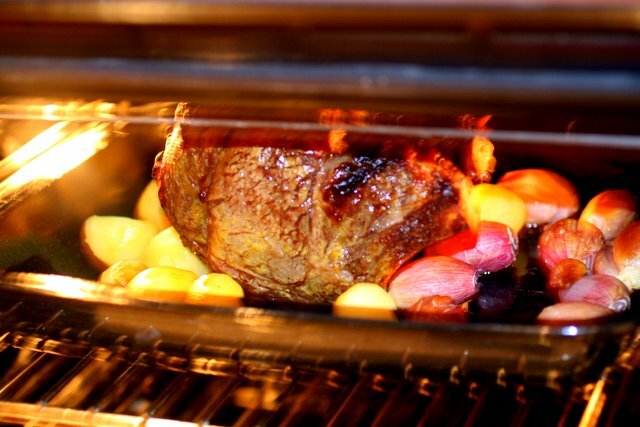 roast rib of beef with balsamic shallots and roast potatoes…..
rib of beef – mine was 1.7kg so that I would have some leftover for sambos…..
heat your oven to 230 degrees. cook your potatoes in plenty of salted water until par-cooked. 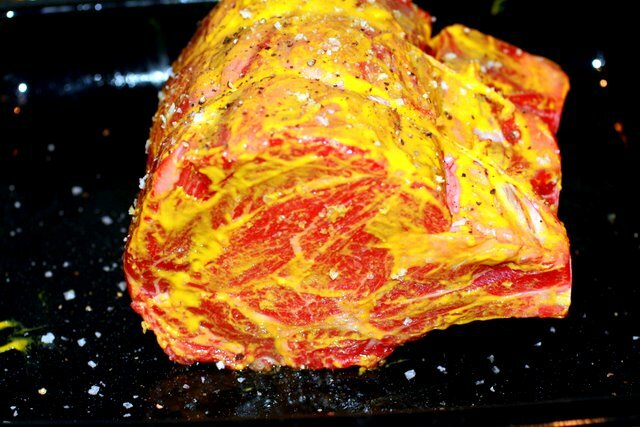 place your beef in a roasting tin and rub your beef all over with mustard and season. reduce the heat to 180 degrees and add your shallots and potatoes, drizzle with a little olive oil and cook for 15 minutes per 500g of meat for rare meat. I cooked mine for nearly an hour. remove the meat from the roasting tray, cover with foil and leave to rest for about 10 mins, turn off your oven and leave your potatoes in there to keep warm. 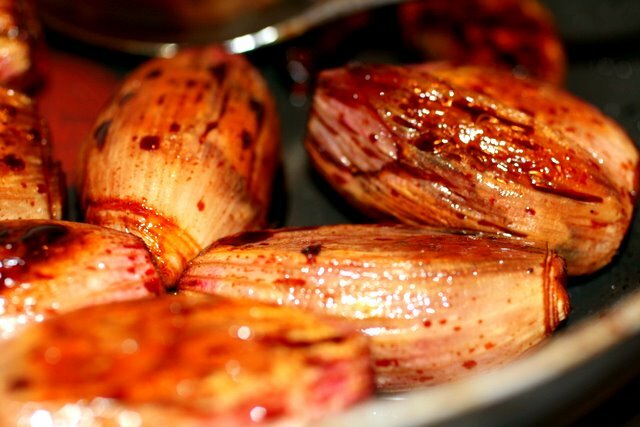 put the shallots in a frying pan and add sugar and balsamic and cook for a couple of mins until caramelised. if you want to make a gravy use the juice from your roasting tray and add a tbsp of flour, some red wine and beef stock and simmer for a couple of mins, then drain. I prefer it without gravy…. « all about me, me, me, me……. You have no dea how happy these photos have made me. Such a tasty dish that I myself love to do, I love a perfect pink centre. my eyes are full of tears….I wants….I wants so much…. doesn’t that look absolutely delicious! 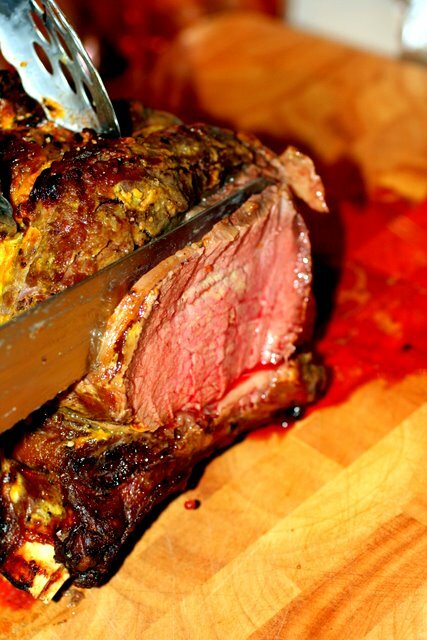 Few things can beat a great rib of beef, especially when cooked to perfection like yours clearly was. I’m now wanting rib for dinner! 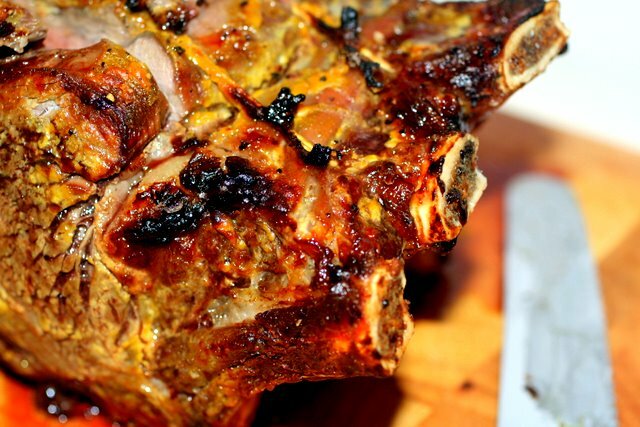 That looks just divine..would be perfect for easter lunch methinks! Such a first class course, easy to follow directions, very easy in making not to mention totally tasty, the kids liked it, thank you so much.